I've been on vacation from work the past week or so, yet despite that I haven't managed to find a ton of time for posting. Running the blog can be a good deal of work, so I tend to treat work vacations as blog vacations as well for the most part. So what have I been up to instead? 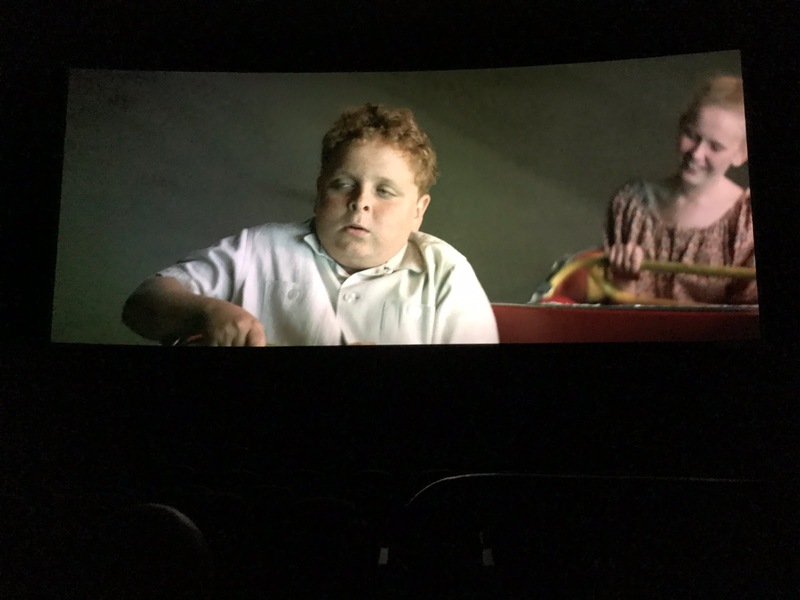 Well, how about seeing one of my favorite movies of all-time, The Sandlot, in the theater? My wife loves the movie as well, and when we found out it was briefly coming back to our local cinema to celebrate the film's 25th anniversary we couldn't book our tickets fast enough. 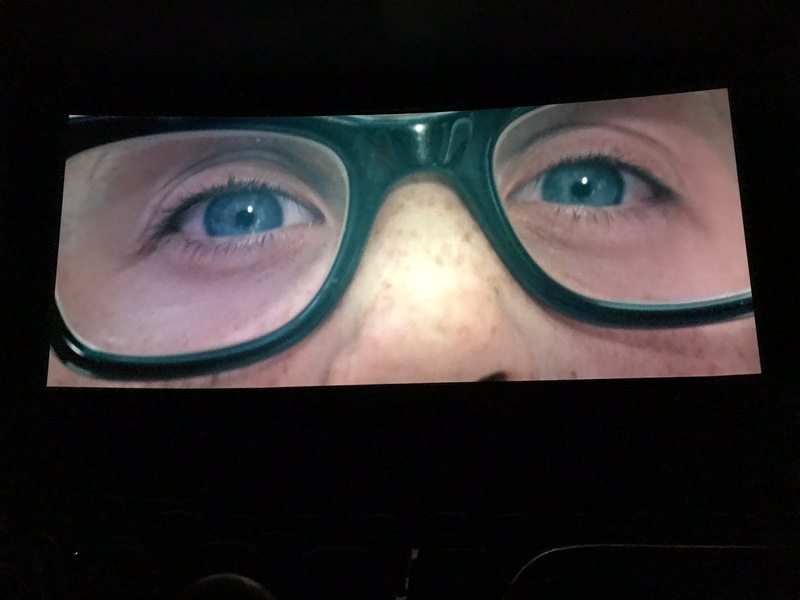 It was a blast, I mean just look at Squints' giant-sized eyeglasses staring you down. I could watch this movie a hundred times and still enjoy it just as much. 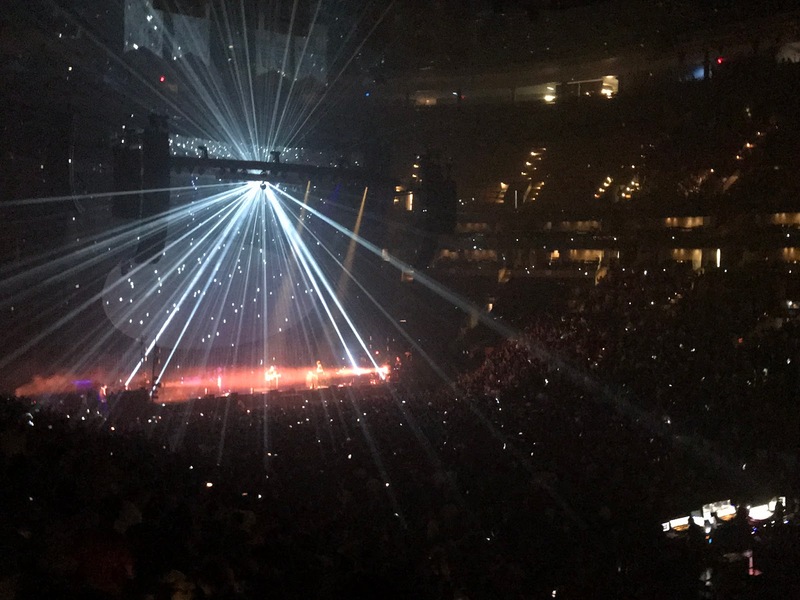 Also managed to see one of my favorite bands ever (certainly top three) when Radiohead came to TD Garden in Boston last weekend. I've been pretty much obsessed with this group since they really rose to prominence and starting releasing groundbreaking albums during my teenage years. 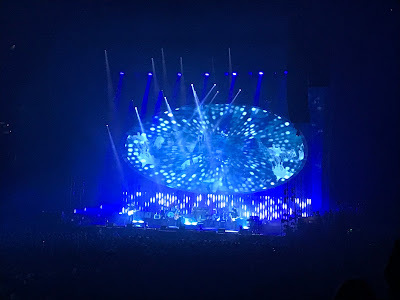 They don't seem to make it to New England all that often, so despite the fact that I'm a total concert junkie I haven't had a chance to see them live in close to a decade. In fact, I was so excited to have an opportunity to see them play again that I bought tickets to both nights the day they went on sale. Don't regret it in the least, they were that good. More so than with any other band from my youth I'm amazed that, despite pushing 50 years of age on average, these guys still sound every bit as good as the first time I saw them many, many years ago. 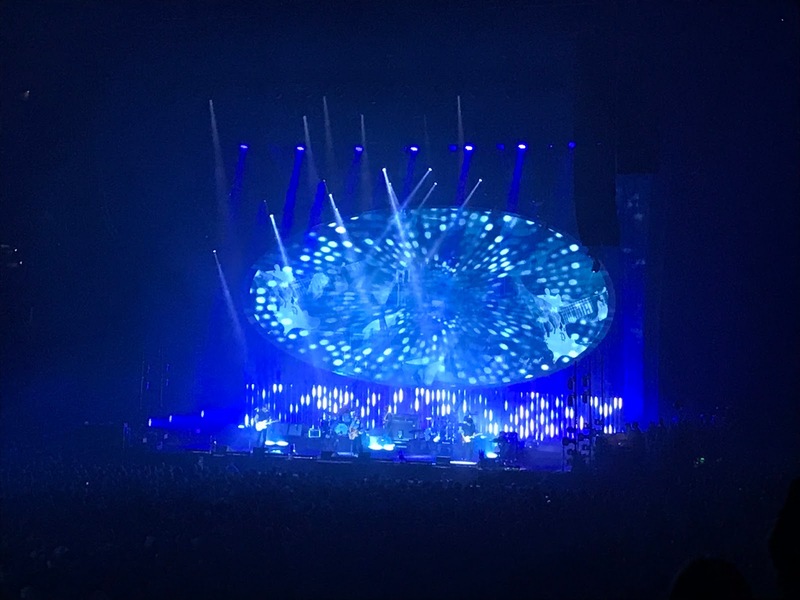 It pains me to say it because Pearl Jam is my favorite band of all-time, but in terms a pure musical and vocal flawlessness and just absolutely nailing the entire set, Radiohead blows them out of the water at this stage in their careers. As for the rest of the week, when we had one or two days where the weather didn't cooperate we made the best of some indoor time. 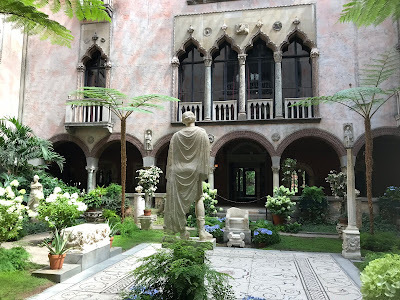 This picture's from the Isabella Stewart Gardner Museum in Boston. If you live in the area and have never been I highly recommend it. 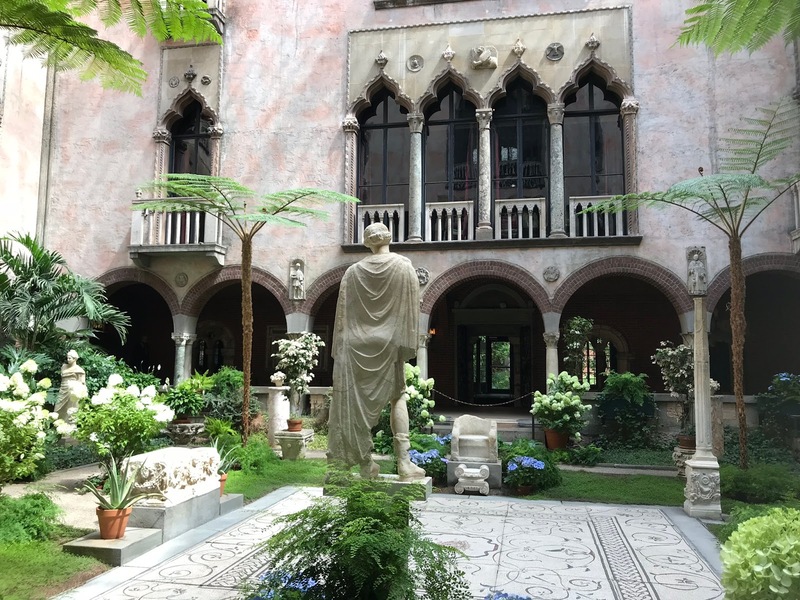 Three stories of really interesting artwork, paintings and sculpture wrapped around a beautifully manicured, enclosed central courtyard. Only about a ten minute walk from Fenway Park! When the weather cooperated, we enjoyed the beach, hiking, and kayaking on the ocean. 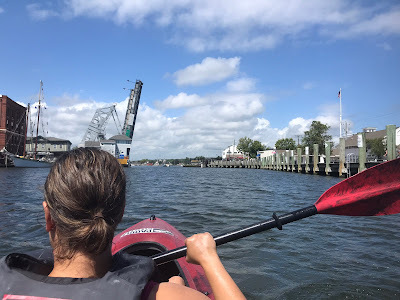 We have a relatively short summer season here in New England, so my wife and I try to make the best of every single good day we get. Probably explains the decreased posting numbers I seem to have every summer. Sometimes I wonder whether I'd blog at all if I lived somewhere like San Diego! Stan the Man! Nice to land one of the more significant HOFers from the set. 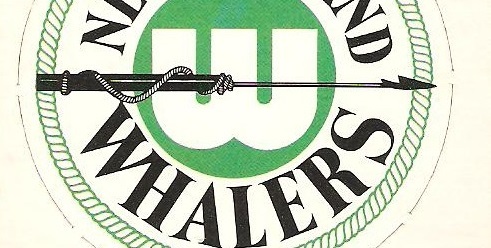 A little off-center left to right, but a beautiful sample overall if you ask me. 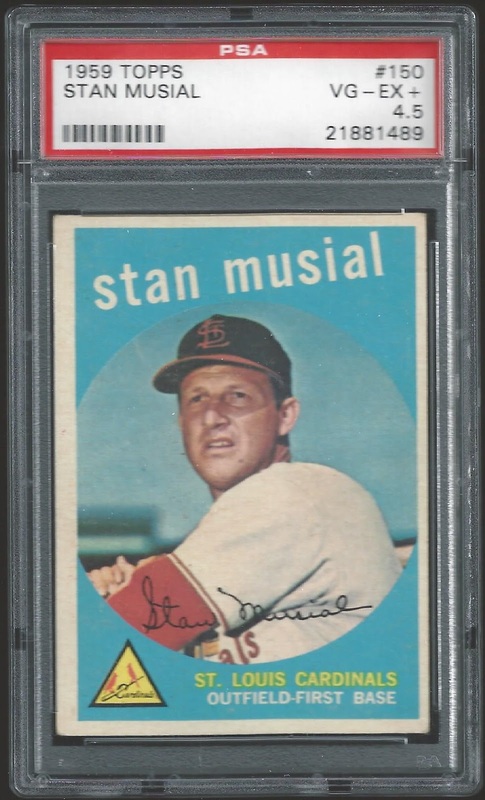 This is my 279th card from the 1959 Topps set so far, I'm extremely close to hitting the 50% mark now. Maybe I'll finish this one off someday after all. Man.. The Sandlot on the big screen, a couple Radiohead shows, some fun outdoors, and a beautiful '59 Musial.. Sounds like heaven! I'm not generally a fan of bringing back older movies on the big screen (I'm not much of a moviegoer in general), but I'd DEFINITELY see The Sandlot if they showed it at a theater around here. Looks like a terrific vacation! Dang. You sure know how to plan a vacation! Enjoy the rest of it. I haven't seen The Sandlot since I was a kid, and now I'm going to watch it tonight. Voted 2nd Best Blog of 2014! Christmas Cards! Cards from My Wife!